All good things must come to an end, so the Gallardo is packing things up and moving out of Lamborghini’s entry-level supercar spot to make room for a brand new baby. Rumors swirled about the name of this new supercar, and the final decision was Huracán LP 610-4 and not "Cabrera," as we initially thought. 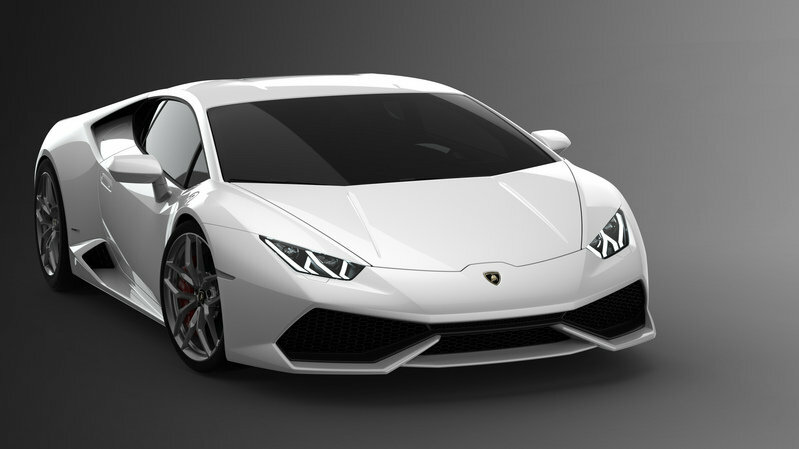 The Huracán LP 610-4’s name is derived from a fighting bull from 1879. This Spanish Conte de la Patilla breed of bull was unrelenting and thrust himself into bull-fighting stardom courage and strong sense of attack. This new new Lamborghini will make its public debut at the Geneva Motor Show in 2014, but it will also have more than 130 private showings that start in January. We expect to see it in dealers starting in mid- to late-2014. Updated 05/31/2016: About one month ago Lamborghini dropped a very cool promo video for the Huracanc called "Driven by Instinct." Now it came back with an addition video that offers us some behind the scenes footage. Hit "play" to check it out! Click past the jump to read all about the Huracán LP 610-4. So, those leaked photos we saw yesterday of the Huracán turned out to be legitimate, as evidenced by a succeeding batch of even more photos showing the Huracán in all its spectacular glory. "That's serving notice to Ferrari that it needs to put in the work to improve the 458 Italia"
applied to the Huracán , something we touched on with our past renderings. 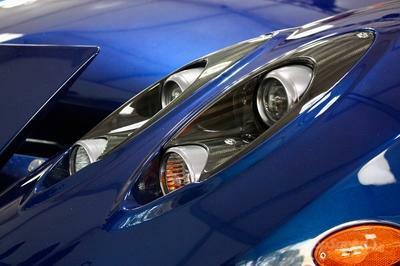 The Lamborghini trademark large intakes are also visibly present on the front. 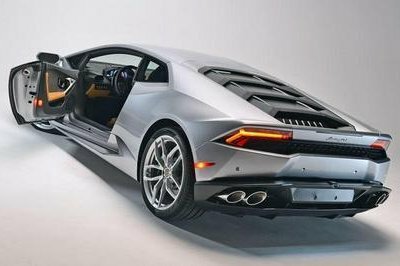 They look shorter than those on the Aventador but meet closer to the middle, a direction Lamborghini may have taken to make the Huracán look less bonkers than its big brother. Smart call, since you don’t want to emasculate the Aventador with a more aggressive-looking younger bro. 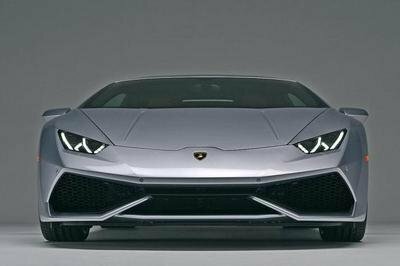 The Huracán does have the advantage with those LED headlamps, the same technology used on the Aventador. But instead of having just one Y-shaped headlight, as is the case with the Aventador, the Huracán has a pair of them on each side. Looking at the side photo of the Huracán , you can immediately surmise that it’s shorter than the Aventador. A noticeable lack of those sweeping strokes kind of makes it look a little too simple for our taste, and even the air intakes behind the doors aren’t as big as the ones you’ll find on the Aventador, probably because the V-10 doesn’t need bigger intakes. And did we say that the doors open conventionally? That’s a bummer. Moving to the rear, this is where we really love the Huracan. Understandably, the Aventador has a more garnished rear with sharp edges seemingly found all throughout the rear. The Huracan is a little more subdued than that, and it’s an awesome thing. The taillights are similar, and the diffuser still sits lower than we would’ve wanted, but the absence of those two large rear intakes, means that there’s more space for an actual bumper. 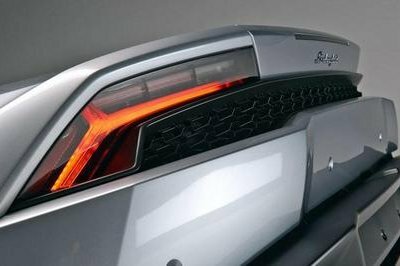 Lambo did have to compromise with those rear lights, making them a tad smaller to accommodate what does look like one continuous intake that runs from one taillight to the other. Two years since its official launch, the Huracan received an exterior update in the form of an aerodynamic kit. 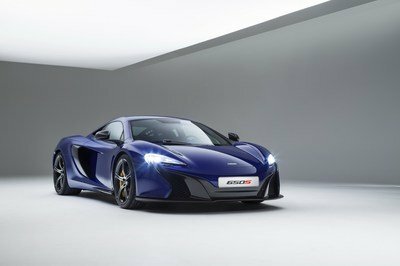 The package includes a new, more aggressive front bumper that features a larger splitter made from carbon-fiber, as well as side winglets crafted from the same lightweight material. It also adds sportier side skirts on each side, as well as large, fixed rear wing. Both elements are made from carbon-fiber. 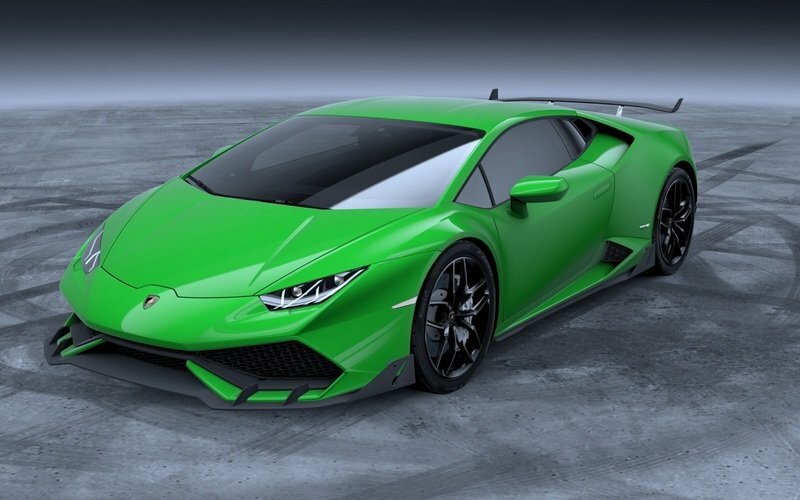 Lamborghini had nothing to say as to how this body kit improves performance, but it will likely help channel air more efficiently around the car, which could shave a tenth-second off its 0-to-60 mph sprint. The aero kit is priced at $22,484 in the U.S. In our rendering that we created on October 1st, you can see that we only strayed a little from the actual model. We got the overall shape of the Huracan perfect, but we did miss the little details that Lambo kept under heavy camo, like the front and rear fascias, the bodylines and the air intakes. Overall, though, not a bad rendering, but not perfect by any means. 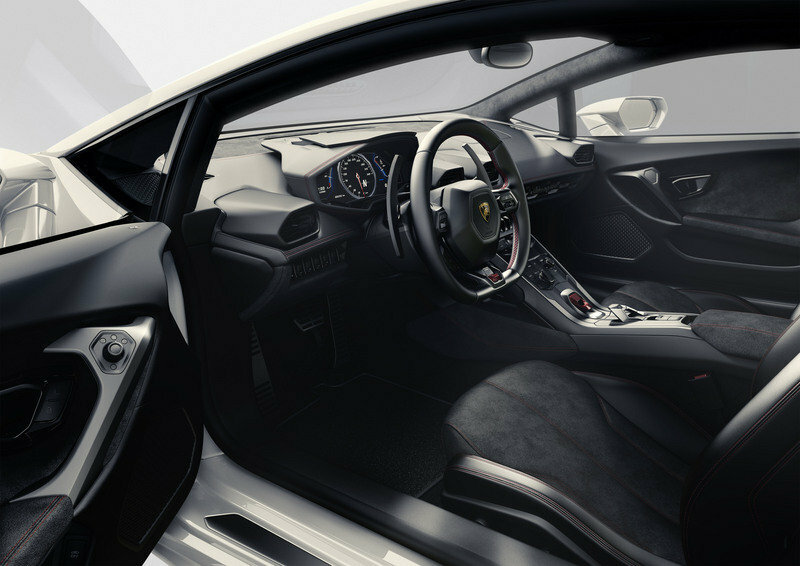 There are little surprises with the interior of the Lamborghini Huracan, other than the redesigned dashboard with the A/C vents sticking out. The center console, which includes a large 12.3-inch TFT display, still has all the knobs, switches, and buttons you’ll need in just one place. The aforementioned TFT display does have all the necessary info, from the tachometer to the infotainment system. The Huracan also has copious amounts of carbon fiber and Alcantara throughout the cabin, nothing out of the ordinary considering that we are dealing with Lamborghini here. "Leaks got the better of the Italian automaker, resulting in an anticlimactic release"
opted to use for its new supercar. For its latest piece of work, Lambo opted to bring back an uprated version of the Gallardo’s 5.2-liter, V-10 engine that produces 610 horsepower at 8,250 rpm and 413 pound-feet of torque at 6,500 rpm. That’s serving notice to Ferrari that it needs to put in the work to improve the 458 Italia, otherwise the Huracán will just blow past it. The Huracán’s increased power over the 458 also means that it can hit 62 mph in just 3.2 seconds and it takes only 9.9 seconds to go all the way from 0 to 124 mph. Top speed wasn’t fully divulged, but LAmbo did say that it will exceed 325 km/h (202 mph). 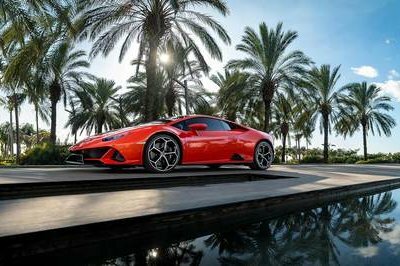 Power for the new Lambo is sent to all four wheels through a seven-speed, dual-clutch gearbox and if you’re feeling the vibe of optional driving modes, the Huracán has three modes - Strada, Sport and Corsa - you can choose from. These systems impact just about every part of the car, including the gearbox, suspension, steering, exhaust, stability control and the all-wheel-drive system. In terms of raw numbers, the Huracan’s V-10 is also Euro 6 compliant, enabling it to have an average fuel consumption of 18.8 mpg in the U.S. (12.5 liters / 100 km). 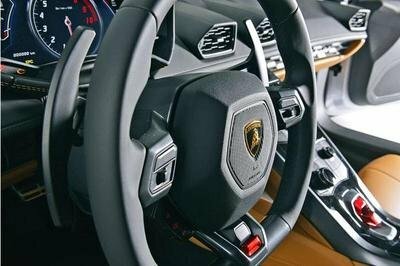 Doing the stopping is a standard set of carbon-ceramic brakes, and variable steering ration allows the driver to whip the new Lambo through the twist with the flick of a wrist. Acceleration (0-62 MPH) 3.2 Sec. Acceleration (0-124 MPH) 9.9 Sec. 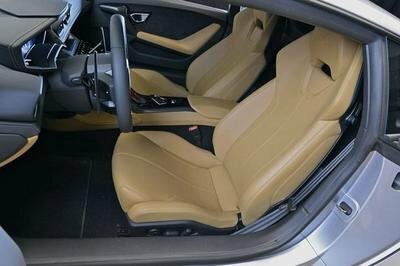 The Lamborghini Huracan is priced from $241,945 in the U.S., making it significantly more affordable than the Aventador, which retails from $404,195 before options. The aeodynamic kit launched in 2016 retails for $22,484. A Huracan with the updated exterior will thus cost $264,429 before options. Even though the Huracán is a new name, it will remain in basically the same segment as its predecessor, meaning it will target the same competitors. The 458 Italia will be its main target. This model will be powered by a 4.5-liter, V-8 engine that delivers a total of 570 horsepower at 9,000 rpm and a peak torque of 398 pound-feet at 6,000 rpm. 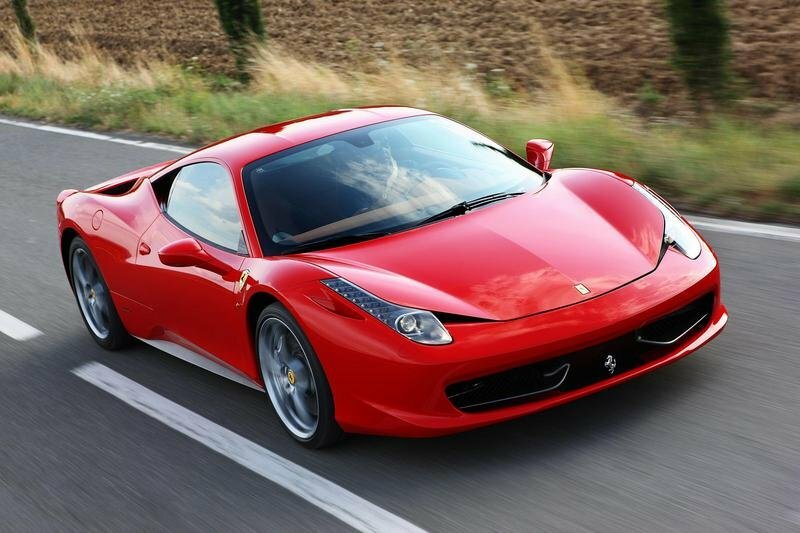 The 458 Italia can sprint from 0 to 60 mph in just 3.4 seconds and goes up to a top speed of 201 mph. Read more about the Ferrari 458 Italia here. 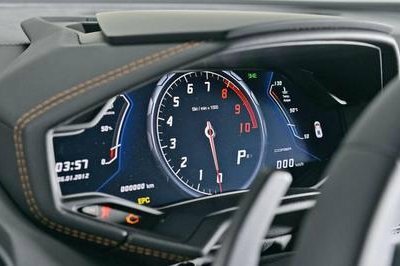 The Audi R8 V10 Coupe is another supercar that will be directly in the Huracán LP 610-4’s cross-hairs. Despite the 2014 model putting down 525 horsepower and 391 pound-feet of torque, the R* V10 will be significantly slower than the Huracán, as it takes 3.8 seconds to hit 60 mph and tops out at 196 mph. 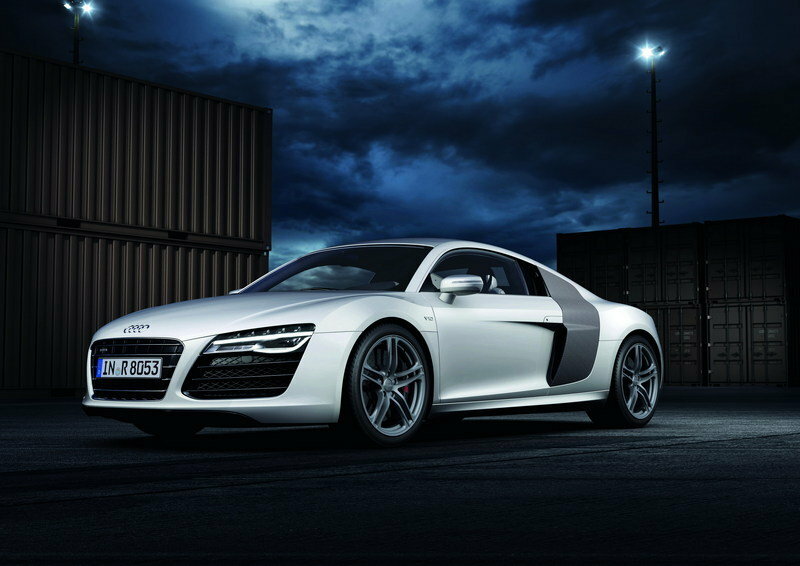 Find out more about the Audi R8 V10 here. Finally, it’s over! The Huracán LP 610-4 is official, and we can finally stop with all of the speculation. Then again, now we get to look forward to all of the special editions that Lambo puts out. Overall, we are rather impressed with what Lamborghini did with its new supercar, as it is fast and likely nimbler than all of its main competitors, particularly its third cousin, the R8. We’ll have to see where Lamborghini prices it, but all is good thus far. We’re sure the Huracán LP 610-4 will enjoy the same outrageous success that the Gallardo did. 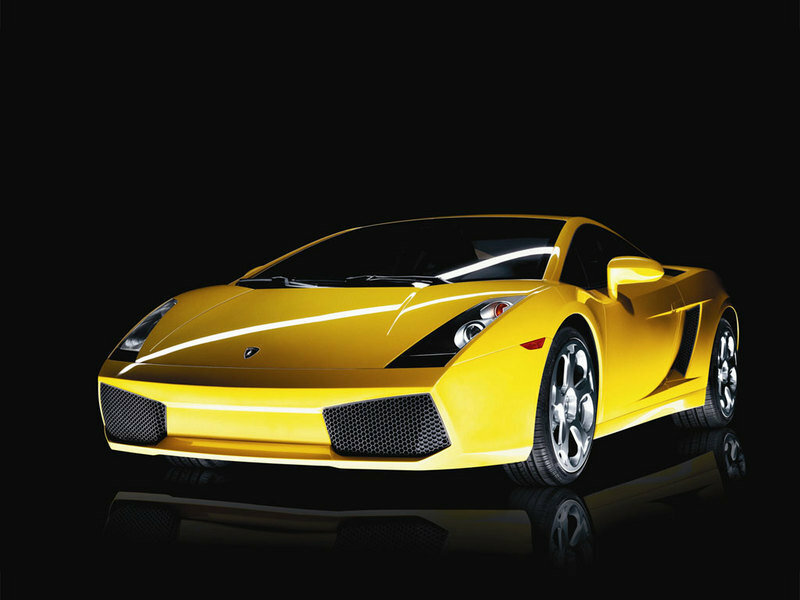 The Gallardo arrived on the market in 2003 and in a very short time, it became the best-sold Lamborghini model ever. 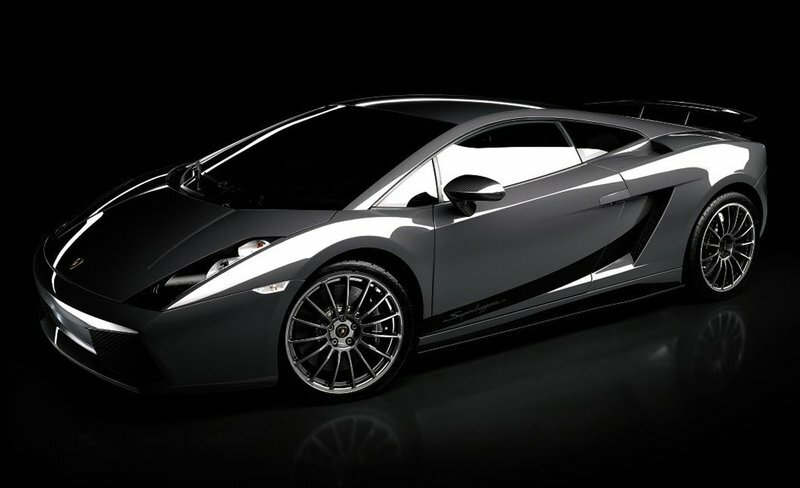 Just like with any other Lamborghini model, the Gallardo was named after a famous breed of fighting bull. 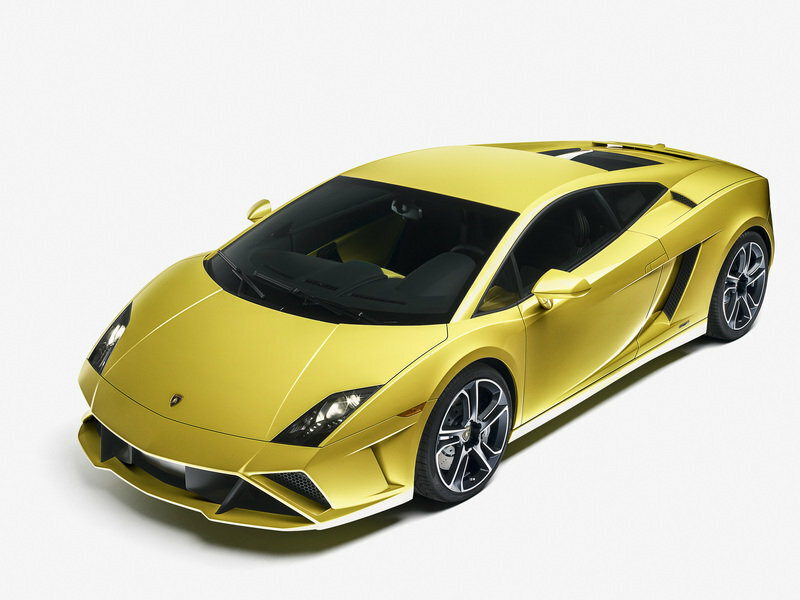 The Gallardo was offered at launch with a 5.0-liter V-10 engine that delivered a total of 520 horsepower. Lambo offered it as a coupe initially, but a spyder version arrived in 2006. Gallardo received numerous variations during the years, starting with the Superleggera launched in 2007. This edition came with a 10-horsepower increase over the standard version. The biggest update was announced at the 2008 Geneva Motor Show when Lamborghini unveiled the Gallardo LP560-4. This version was powered by a 5.2-liter V-10 engine with an output of 560 horsepower. 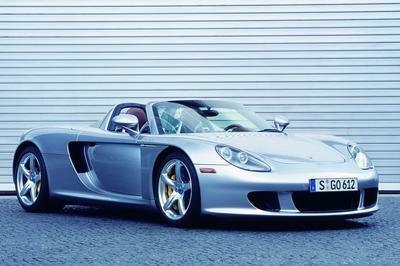 This version also received a spyder and a Superleggera version, which added an extra 10 horsepower to the standard LP560-4. The LP560-4 received one final update for the 2013 model year. The "update" however was limited to only some small interior and exterior revisions, with no changes made under the hood. Updated 04/29/2016: According to GTSpirit, the Huracan will be offered with an optional aero kit priced at $22,484. Check the "Exterior" section for more details. Updated 11/11/2014: Saabkyle04 made a pretty amazing review for the latest supercar in Lamborghini’s lineup. Check the video after the jump. Updated 10/29/2014: Lamborghini St. Louis unveiled a cool video shot at its Huracan launch party. The video was produced by Once Films and is pretty much the coolest Hurcan video we’ve seen lately. Enjoy! 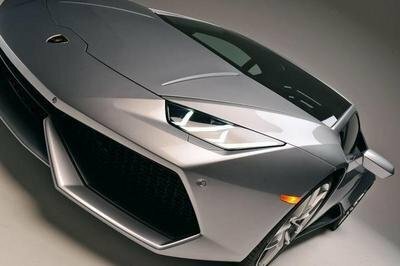 Updated 03/06/2014: After the first promo video unveiled a few days ago, Lamborghini now released a full video for the new Huracan supercar. Enjoy! 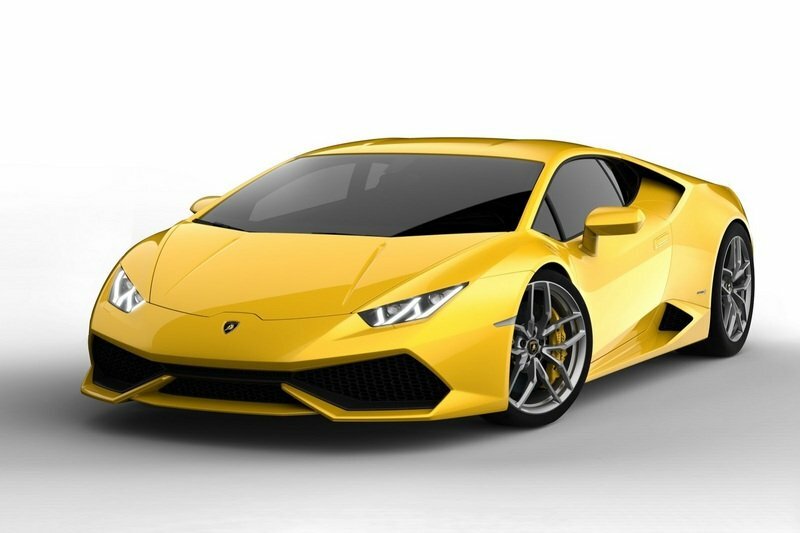 Updated 03/12/2014: Lamborghini unveiled a new video in which Filippo Perini, Head of Design at Automobili Lamborghini, explains the design concept behind the new Huracan supercar. Updated 05/09/2014: Lamborghini unveiled a new set of images for the new Huracan supercar. Check them out in the picture gallery! Updated 06/23/2014: Lamborghini unveiled a new video revealing the technical details behind the new Huracan supercar. It is by far one of the coolest technical videos I’ve seen in some time. 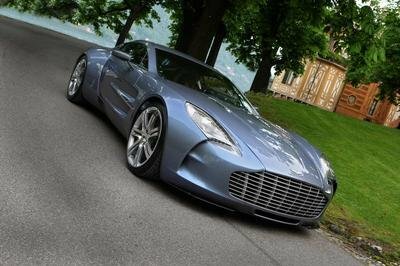 Updated 06/29/2012: Automobile Magazine is reporting that the Cabrera is being pegged to be at Frankfurt next year and will come with a number of new features, highlighted by a drop in weight (66 pounds) that results in a new 0-62 mph time of 3.4 seconds and an improved top speed of 203 mph. The range of the third generation Gallardo could also give birth to a number of variants in the years thereafter, including the Spyder, the Superleggera, and potentially, the Performante. Updated 06/14/2013: Today we have created a new rendering for you for the upcoming Gallardo - also known as the Cabrera. Click past the jump to learn more it. Update 11/21/2013: Our spy photographers recently caught the Cabrera without all of its heavy cladding on, and just with light camouflage on. See the images after the jump. 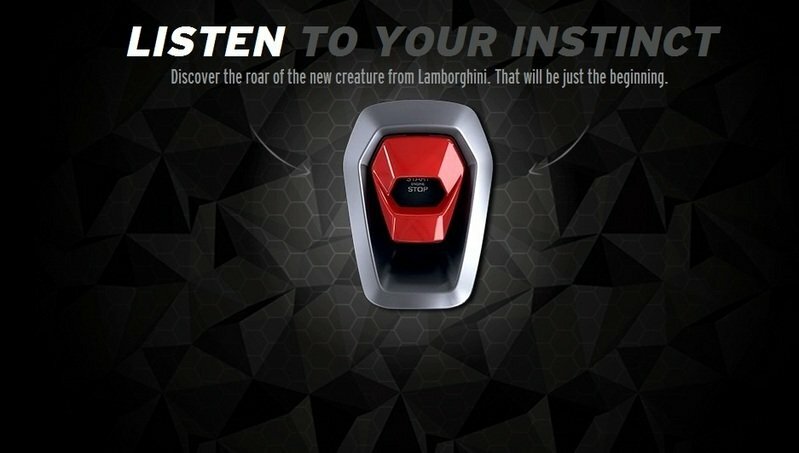 Update 11/26/2013: Lamborghini has released a teaser image and a new microsite that we believe is for the upcoming Cabrera. You can see the microsite here and see the teaser after the jump. 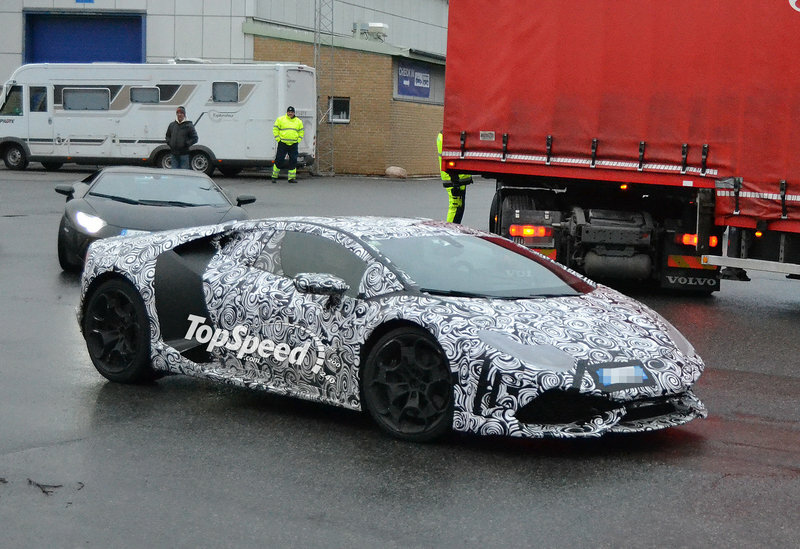 Updated 12/12/2013: Our Spy photographers caught the Gallardo successor testing once again. You can see more after the jump. 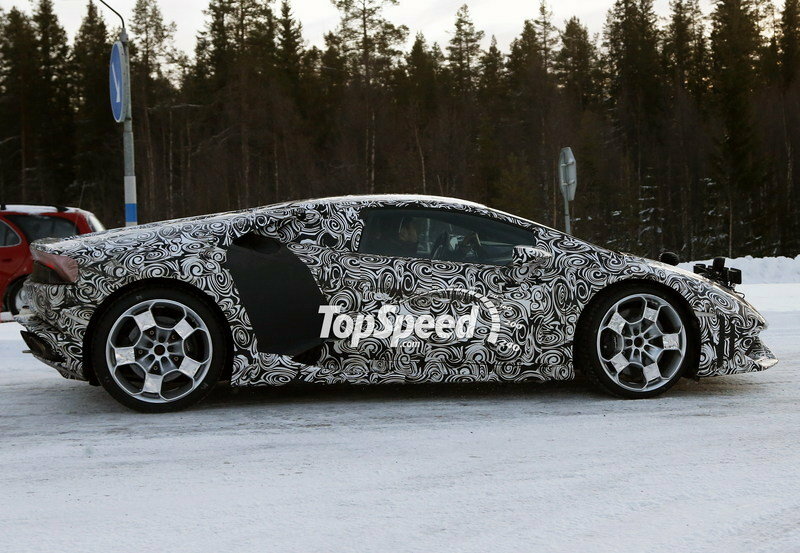 Updated 12/18/2013: Our Spy photographers caught the Gallardo successor testing in the snow of Northern Sweden. No, Lamborghini executives weren’t hitting the slopes — well, maybe they were — but rather, they were testing out the car’s all-wheel-drive system and seeing how the engine responds to cold weather. You can see more after the jump. Updated 12/19/2013: A few images leaked online of the supposed Huracan. You can see the images after the jump and decide for yourself if they are real or not. 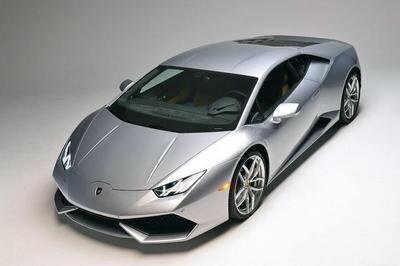 Updated 12/19/2013: A full batch of official details and photos have been released online of the Lamborghini Huracan LP 610-4. 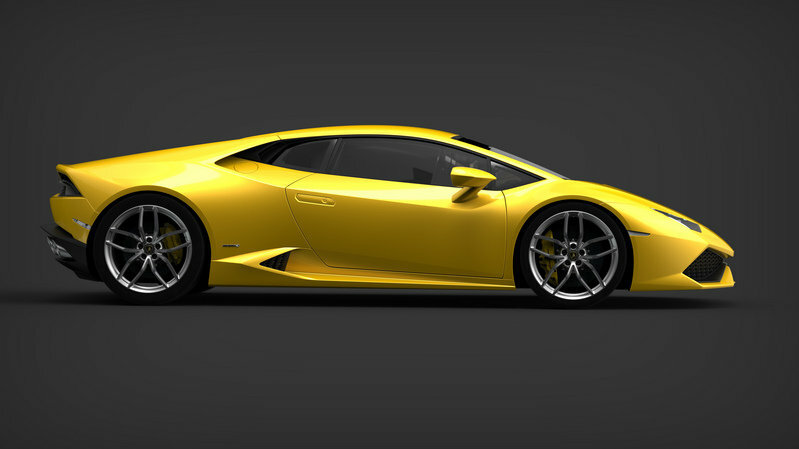 Updated 01/11/2013: Lamborghini is now offering you the chance to play a little bit with the Huracan’s option list via the new online configurator. So, go online and start playing! 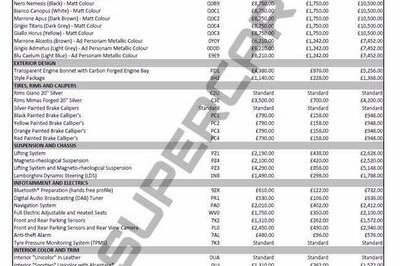 Updated 01/24/2014: The guys over TheSupercarKids came into the possession of a leaked document that reveal British prices for the new Huracan LP610-4. In here the prices will start from £180,720 (or about $298,000 at the current exchange rates), not including delivery charges. Full pricing list after the jump. 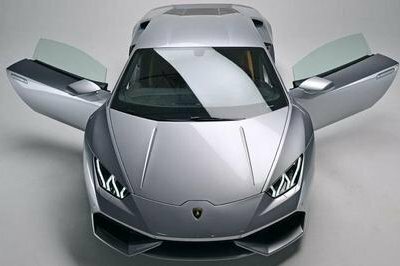 Updated 02/26/2014: Lamborghini unveiled the first promotional video for its new Huracan supercar. Enjoy! Above, you can see the progression of the Gallardo successor’s development and just how far along it has come. We first caught the new supercar lapping Nürburgring under some seriously ugly camo (top, left). But in November, we caught it again, but this time in a parking lot. Fortunately, this time Lambo decided to drop the heavy black cladding and left just the swirly camo (top,right), which allowed us to get a clearer look at the front and rear of the new Lamborghini. The latest image, which was caught on 12/12/2013 (bottom, center) — just days before the Gallardo’s successor is due to show its face — but these images didn’t shine any new light on the future supercar. Our spy shooter caught the Gallardo Successor testing in the snow in Sweden on December 18th, 2013. Other than the funky rally light setup, there is nothing different on this prototype when compared to the last ones we saw. One thing is for sure, this snow testing is a clear sign that Lambo’s use of all-wheel drive will continue into this next-gen model, as expected. Sant’Agata Bolognese, 20.12.2013 – A new era is beginning for Automobili Lamborghini and the luxury super sports car segment: with the brand new Huracán Lamborghini is not only presenting the successor to the iconic Gallardo, but is also redefining the benchmark for luxury super sports cars in this segment. With its pure and unique design, an innovative technology package, outstanding dynamics and excellent quality, the Huracán offers a super sports car experience on a whole new level. The Huracán combines absolute performance with easy-to-drive road behavior and both luxurious and sport-oriented finish. With the Huracán, Lamborghini is taking a big step into the future, and enhancing the brand’s illustrious history with the next automotive legend.